Is there a better alternative to Uforio? 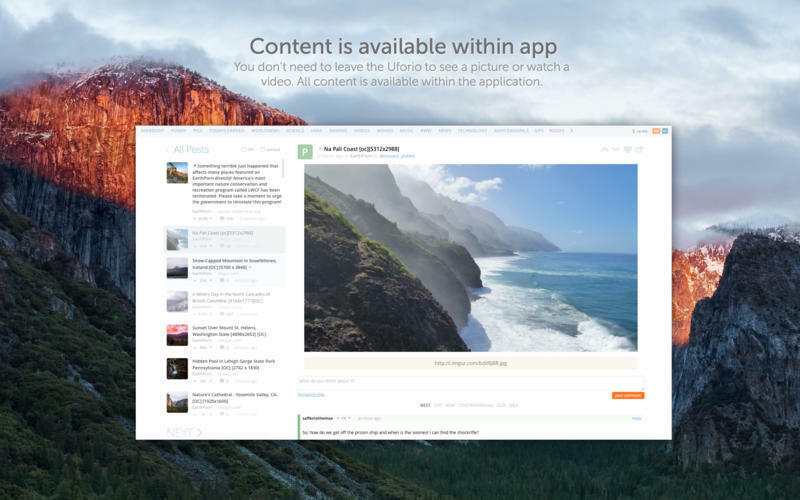 Is Uforio really the best app in Internet Utilities category? Will Uforio work good on macOS 10.13.4? 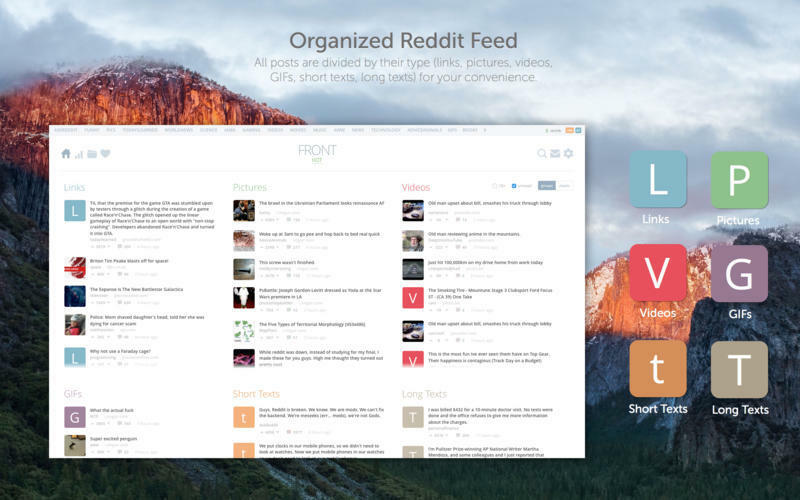 Uforio is a Mac client for Reddit. Modern Design. 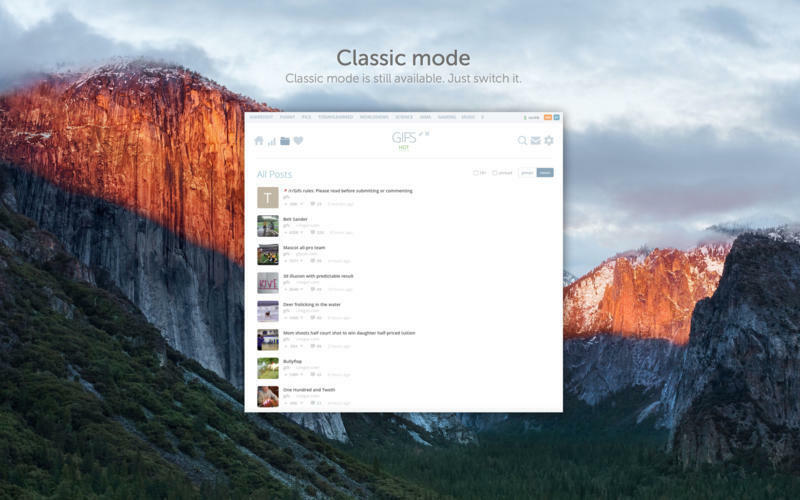 We have created a really convenient, visually attractive and minimalistic interface. Organized Feed. All posts are divided by their type (links, pictures, videos, GIFs, texts) for your convenience. All content inside. You don't need to leave the Uforio to see a picture or watch a video. All content is available within the site. Work fast. 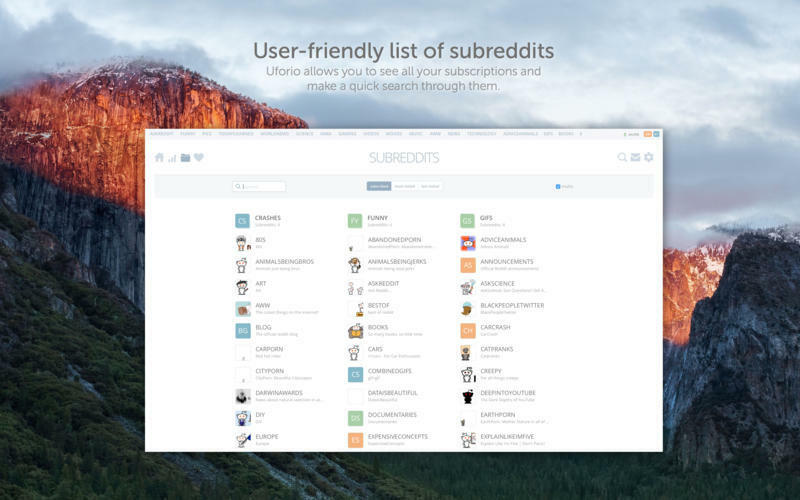 Uforio's caching system let you work with Reddit much faster. Uforio needs a rating. Be the first to rate this app and get the discussion started! Convenient favorite bar. You can save your beloved subreddits on the favorite bar, which is very intuitive and manageable. Hide already read posts or NSFW-content. You can hide already read posts or NSFW-content to make your work with reddit even more comfortable. Coloured comments levels. Each level of comments has its own color. It's very useful and looking good! Synchronization between devices. The information about the posts you've already read, your bookmarks and your account settings will be available on all your devices after authorization.